Adrienne Delaney and Donald Gordon are a young happy married couple from Boston. Adrienne is a writer with a successful novel on her name: Blue Moon Rising. Donald is a photographer with a special interest in 18th and 19th century architecture. While working on pictures for a magazine, he discovers a 19th century land house on a private island in the rural north of Massachusetts. He convinces Adrienne to buy it. It is cheap, isolated and peaceful: the perfect place to write a new novel. Then the nightmare and illusions begin. Adrienne wants to find out more about the mansion's history and its previous owner, who turns out to be a famous magician in the late 19th century, Zoltan Carnovasch. Zoltan, who was involved in dark magic, lead a bizarre life and was married five times. All his wives either disappeared or died in gruesome ways. While Adrienne discovers more facts about Zoltan and his life, Donald is beginning to change, becoming darker, hateful and angry. It appears he has become possessed by the magician or whatever evil Zoltan was possessed by. Then the murders begin... Will Adrienne escape the faith of Zoltan's wives and save her husband from his curse? 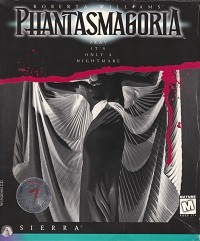 Phantasmagoria, created by Roberta Williams was by far the most ambitious and expensive project Sierra had ever worked on. 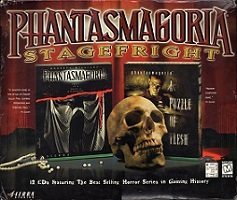 Though Sierra had already used blue screen recordings in the past, Phantasmagoria was entirely made with blue screen recordings combined with high resolution backgrounds. Sierra built a facility from the ground up to deal with the technical challenges. More than 200 people worked on the game and it took nearly 3 years to complete it: one game on 7 CD-ROMs, a record in the gaming industry. The lead actors for Phantasmagoria are Victoria Morsell (Adrienne Delaney) and David Homb (Donald Gordon). 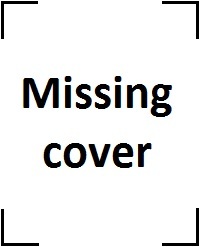 The game uses SVGA graphics and Sierra's SCI engine. It was released for the IBM PC and Mac and was the first Sierra game ever to sell more than 1 million units.